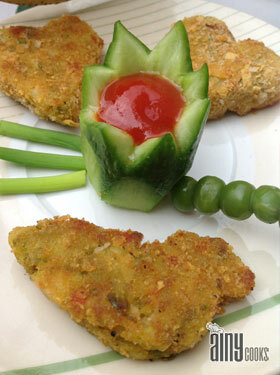 This recipe is specially for my son’s friends. 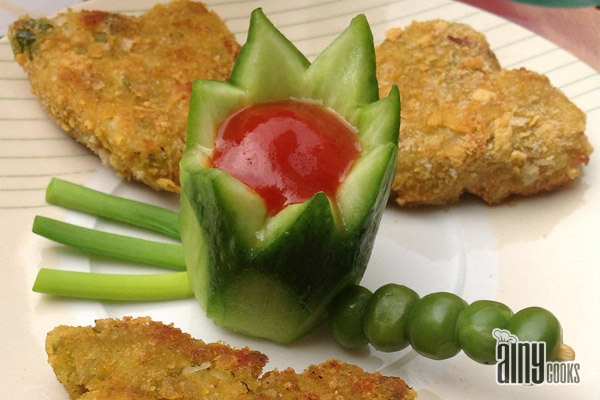 If you ask any kid about their favorite snack, they will probabely tell you… Nuggets. 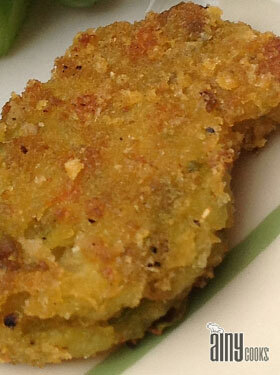 Veggie nuggets are extremely healthy for you and your kids. Interesting thing is that you can add any vegetable of your choice. Oil for greasing and spraying. Boil all vegetables, with masher mash them completely and add all spices. Mix well. Spread the mixture on a tray of 1/2 inch thickness and keep this in freeze for 1-2 hours. Then take it out and cut shapes from cookie cutter, place them on butter paper. Again keep them in freezer. Grease your baking tray and preheat oven. First coat them with flour then with egg and in the end with bread crumbs. Place on baking tray and spray oil on nuggets. Bake them first few minutes from one side then turn the side and bake till golden color appear. HOW TO FREEZE YOUR BAKED ITEMS. CHICKEN NUGGETS CHEESY CHICKEN PATTIES HARD NUTTY NUGGETS /BRITTLE SPICY AND CRISPY BAKED CHICKPEAS MUG HANGING PUFF CHOCOLATE CHUNK COOKIES PEPPERONI BREAD STARS. your receipes are so different . More precisely I love your presentation of your dishes I guess that what pulled me to check your website . I would request you to add more vegetarian dishesand eegg less baking stuff .